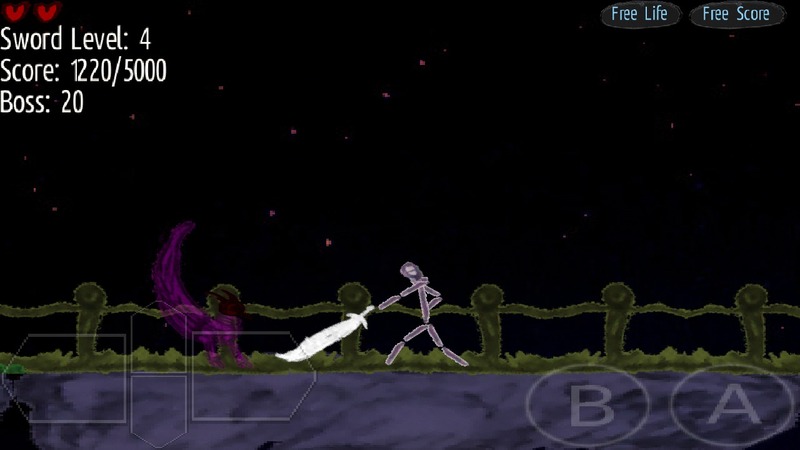 SketchVania is a short old school retro sword action game in Metroidvania style with 10-15 minutes of gameplay. 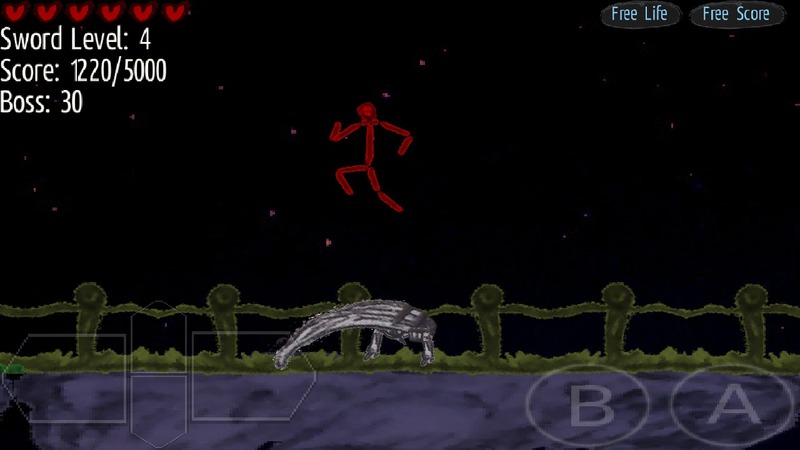 The game has sketch graphics mostly. For mutual benefit between gamer and me video ads with rewards are implemented. Watch ads to get free score and health. Video ads require good internet speed and wifi is recommended. 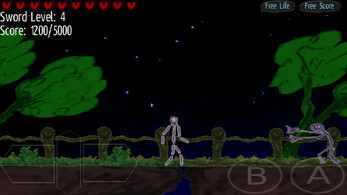 - You play as a stick/sketch hero living in a Nightmare of Sketch World. - 4 Stages, 4 bosses, 4 small musics. - Boss 1 - Evil Mysterious face. - Boss 2 - Small Creepy Creature. - Boss 3 - Guard hands. - Boss 4 - Big Creature. 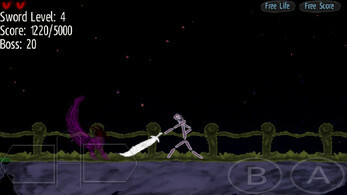 - Score with sword level system. Get higher score to get higher levels of sword. This game will get more updates of levels, music etc. Kindly support indie developers. If not a big budget game but small games can be made in lesser time. Currently its gameplay is of style sword attack type only however i am planning to add whip like attack in other similar game. May be a Castlevania parody game "CastLOLvania". - Stage 1 Night sound, Boss 1 laugh, hurt sounds are CC0 licensed audio files.